SpEdhearts is a story about SpEd teachers in a small montessori school who are confronted with their own problems and are bound to give up life. But seeing their SpEd students full of enthusiasm pursuing their own battle, these teachers are just as grateful living normal lives. 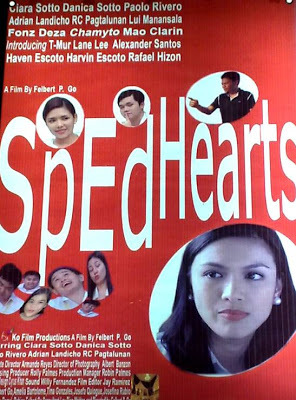 SpEd Hearts aims to correct the misconception about special children and to educate every human being that they need really SpEd Hearts as well to understand them.